The shared root of anxiety and depression is a person’s perception of overestimating the risk of a situation while underestimating that they actually have the ability to cope. Anxious and depressed individuals see many risks in all sorts of things: speaking to a stranger, looking for a new job, asking someone out on a date, and so on. But instead of developing the resiliency skills needed to handle uncomfortable situations, individuals with anxiety and depression tend to avoid the things they fear or that make them uncomfortable. 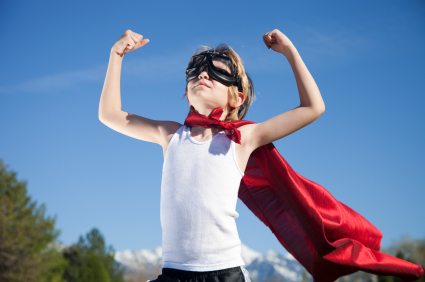 Building resiliency is one of the cornerstones of cognitive behavioral therapy (CBT). Resilience is the ability to persevere, to adapt and to bounce back from difficult situations. Resiliency helps us to enjoy life more, contributes to our overall well-being and helps us to better accept ourselves and others. Resilience enables us to survive the sadness, disappointments and pain that are an invariable part of one’s life. In short, resilience greatly contributes to good mental and emotional health and helps us to survive and cope and feel in control even during turbulent times. Central to resilience are our beliefs. As cognitive behavioral therapists, we emphasize that because our thoughts influence the intensity of our feelings and of our actions, how and what we think about unpleasant or difficult situations also greatly affects our core beliefs. Core beliefs that are irrational or unhelpful greatly contribute to anxiety and depression and affect our resiliency. I must do everything perfect or it’s not worth doing at all. It is absolutely horrible when things are not the way I think they should be. I should be anxious and nervous about anything that is unknown, uncertain or potentially dangerous. I must be loved, liked or approved of by everyone, all of the time. It’s easier to avoid things than to face life’s difficulties. The world should always be fair and just. The way a person thinks about difficult situations, his beliefs about his abilities and his outlook toward the future all create a powerful effect on how the individual copes. When a person is resilient, it’s not to say that the person doesn’t have strong feelings – but the resilient person is better able to regulate and control these strong emotions so that he can respond to the situation in more appropriate ways. Emotional regulation has been found to be an important aspect of resiliency. In addition, resilient individuals share three types of healthy beliefs, which have been described as the “three C’s of resiliency” and have shown to be a protective factor from anxiety and depression. Commitment – believing that what you do is important. Control – believing you have some influence the outcome of events. Challenge – viewing a potentially stressful event as a challenge instead of a threat. Becoming more resilient is important. Learning to increase the accuracy and flexibility of your thinking is the first and most important step in becoming more resilient to life’s unavoidable stresses. Research has found that how a person thinks about difficulties and opportunities greatly affects our success in work and school, our health and our risk for anxiety and depression. People who are able to bounce back from adversity have happier relationships, enjoy better health and are more successful in their careers and educational pursuits. 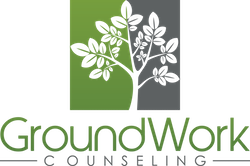 At GroundWork Counseling in Orlando, our certified cognitive behavioral therapists (CBT) have specialized training in resilience building and can help you increase your self-awareness by teaching you to identify your beliefs and discover their connections to your feelings and behavior, which is an important step in increasing resilience.